Welcome to our 3-minute guide to the most common Ravenheat boiler problems. If you suspect an issue with your boiler, this fault finding guide will help. Before starting, it’s worth noting that gas appliances need to be worked on by qualified boiler engineers. If you want to book a repair or a quote for a boiler replacement, you can do that here. Sick of your Ravenheat boiler breaking down? Get a fixed price online from BOXT, for a brand new Worcester Bosch. BOXT are partly owned by Bosch. What does that mean? This is about as cheap as you’re going to get a Worcester boiler installed in the UK. Although this fault finding guide covers all Ravenheat boilers, we’ve tried to focus on faults common with the CSI 85, RSF 84 and CSI 120. A common fault with the Ravenheat CSI and RSF is a low pressure problem that leads to a boiler lockout. Depending on your boiler and the exact problem, it’s likely you’ll see fault codes such as the F73, F74 and 08. First, check the pressure gauge on your boiler. Boilers work at around 1.5 bar. Below 0.6 bar of pressure and above 3 bar, they tend to lock out. Assuming there is no leak (maybe you’ve just moved into the property and are not sure), the issue can be solved by topping up the pressure using the external filling loop. But, if pressure continues to drop, the leak needs to be found and fixed. We’ve created a guide on boiler leaks here. Boilers are full of sensors to ensure the unit works efficiently and safely. If the pressure gauge is faulty, it could be sending incorrect signals to the boiler’s PCB (circuit board). For example, it could be signalling the pressure is too low to safely operate, even though it isn’t. Using a multi-meter, a boiler engineer will be able to test the pressure sensor, as well as the connections that are coming to and from it. 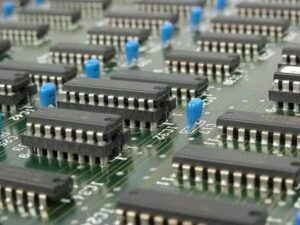 If the pressure sensor itself is faulty, it’s cheap to replace. When both the hot water and heating doesn’t work on CSI and RSF Ravenheat boilers, it’s usually due to a circulation fault. Check your boiler’s display panel. The code for a circulation fault on most models is F83. However, consult your owner’s manual for your boiler to determine exactly what the fault code means. Typically, a circulation fault on a Ravenheat boiler will be due to a faulty pump. A pump’s shaft needs to be horizontal, with the bleed screw at the side. If it’s fitted incorrectly and the shaft isn’t exactly horizontal, this can cause excess wear on the bearings around the shaft. That, and a build up of sludge in the system can cause the pump to seize. If the pump’s shaft is simply full of dirt, it can be freed by cleaning out the pump. However, it’s likely caused damaged to the bearings. If it’s an old pump, a replacement is a much better option. Old pumps are likely to fail time and time again, and it’s more cost efficient to replace the whole unit. Ravenheat boiler problems aren’t limited to those that require expensive parts being replaced. If you are whacking heating up to full temperature but find radiators only half heat up, the small sensors that monitor temperature could be the issue. If this is the case, it’s likely a F85 fault code is on the boiler display panel. These sensors are called NTC thermistors. One monitors the temperature of hot water coming out of the boiler. The other monitors the temperature of water that returns (which is usually much cooler). The last of the above, is common. Limescale in your central heating system will stick to parts like these heat sensors. These small particles burn hotter than other parts of the heating system. Naturally, the sensor believes all water is hotter than it actually is, so it shuts the boiler down before your radiators get to temperature. Have a gas engineer check the connections to and from the NTC thermistors. Replacement NTC thermistors are fairly-cheap. By replacing them, you’ve got a part that’s going to last for years to come, but it’s also going to be 100% free of limescale. If it’s the fan that has failed, you’ll notice a 017 fault code on the display panel. For an ignition sequence fault, you’ll see an 01 error code. The fan on your boiler will start before the boiler ignites. Fans don’t cool down the boiler, but instead create a draught to take harmful gases out of your property via the flue. In order for the boiler to start up, the air pressure switch must recognise the fan is turning. In this case, it’s not. Not all boiler fan problems end up with a replacement fan. A boiler engineer will be able to check to see if wiring to and from the fan is degraded. If it is, sometimes it can be repaired. And, on many occasions it’s the motor that has burnt out or seized. For particularly old boilers, it’s rarely worth replacing the fan. They can cost upwards of £300, and that’s a lot of cash to invest in a boiler that’s proving to be unreliable. A replacement boiler should be considered. If the fault code shown is 01, the problem with your Ravenheat becomes a little more complex. The fix is likely simple; a replacement part. What isn’t simple, is the fault finding mission to find that broken part. This needs to be done by a professional with electrical testing equipment. If you’re getting a red flashing light on your display panel, the problem with your boiler is likely electrical. Typically, this is reverse polarity and is common after electrical work has been carried out. The first point of call is to test each component. Is the problem with the individual part, or wiring? Flame sensors are cheap, and worth replacing (even in older boilers). But, gas valves and PCBs can cost £300-500+ to replace. It’s not advisable to spend this kind of cash on an old boiler that is failing, and a replacement boiler is likely a better option. 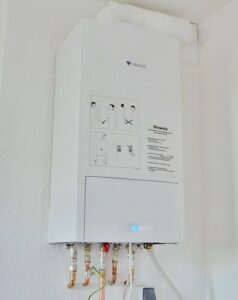 Have the gas engineer check all parts on the boiler, to give a diagnosis of the most cost-efficient option. Ready to get your boiler fixed, or have a quote for a replacement? You can do that online here. 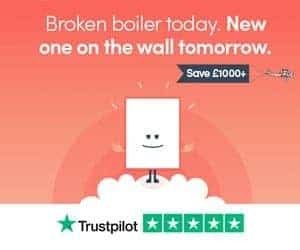 Prefer a new boiler with a long warranty? You can get prices here. And, thanks for reading our 3-minute guide to the most common Ravenheat boiler problems. If you still have questions, add a comment below and we’ll reply as soon as we can.